Sept. 20, 2018, 10:11 a.m.
By Laura Hazard Owen @laurahazardowen Sept. 20, 2018, 10:11 a.m. The deep, booming “I want to tell you about Middle East policy” had been the problem with the Financial Times’ opinion section, but Brooke Masters is up to the challenge of fixing it. At the FT for more than a decade, she was the companies editor before becoming opinion and analysis editor this past spring. Her role — diversifying the 130-year-old paper’s opinion section, previously known as “Comment” and dominated by opining men — is just a piece of what the FT is doing to appeal to women. I spoke to Masters, who is based in London, about how she’s bringing in more voices, how she thinks about quotas, and what the biggest problems are with most op-ed submissions. Our conversation, slightly edited for length and clarity, is below. 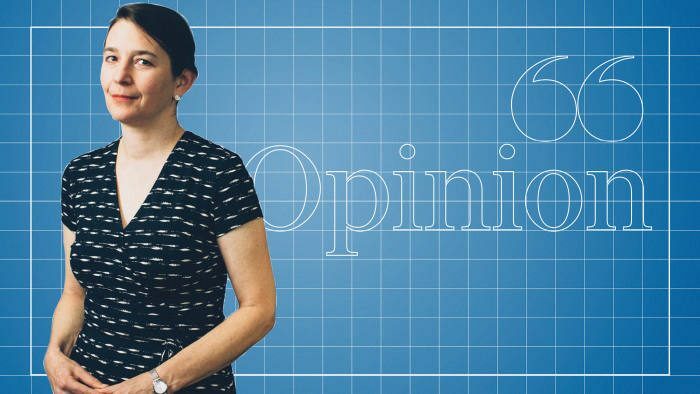 Laura Hazard Owen: Why did the FT rebrand its editorial section from Comment to Opinion? Brooke Masters: We have reader comments under articles, and people were getting confused about the difference between reader comments and the pieces that we published that were edited and curated and carefully chosen, which were also called comment. We decided that if we called those opinion, it would be much clearer. Opinion also clearly has attitude and a point of view, and so there’s no question that it’s not a news story, which is another thing that’s important in this highly polarized era — that people understand you’re not getting straight-up news, you’re getting somebody’s point of view. We also rewrote the guidelines on how to submit, to make them friendlier and more suggestive of the kinds of things we want. It was genuinely an effort to be much more welcoming, to really encourage some of the people who have always read us but didn’t feel comfortable about contributing. We also wanted to include people who were stumbling across us on the web, to help them realize that we really wanted to hear from them. Owen: You started in February and these efforts were launched by April. What kind of response have you seen? Masters: Our pageviews have not gone down, and in fact have gone up, and our daily opinion email is going up. I can’t say for sure that it has radically changed the number of people who are clicking on our things or anything like that — it’s really too early to tell — but it’s certainly not been negative. The traditional comment section had always under-indexed women compared to the rest of the website and we’re moving closer in line, which is great, and I’d like to over-index eventually. Owen: Do you set goals, like 50 percent men and 50 percent women, or is it looser than that? Masters: It’s looser than that — it’s more like a floor. I have a basic rule that either one of the three or one of the four [online opinion columns], depending on what day it is, is by a woman. I’d like to get to 50 percent, but we’re not there. We never tracked it before I took over, but my impression is that in terms of commentators, we were running about 20 percent women. Now we routinely hit 30 percent, and some weeks we’re 40 percent. We check it every week. I haven’t set a formal goal, but I watch it and want it not to get worse. It’s not a quota, but we do pay attention to it. Owen: Are these goals the same for the print paper? Masters: Online is more diverse, generally, and we do more pieces online. The print used to be much less, but I don’t keep paper stats because I think the paper’s such a small selection of our subscriptions now. Online, which is everything we do, including everything that’s in the paper — there’s nothing in the paper that’s not online — we are running an average of 31 percent female commentators. Owen: When I talked to audience engagement head Renée Kaplan, she mentioned that the team had rewritten the callout for comment. It used to be framed in a way that suggested you needed a ton of specific expertise to write something, and you guys were trying to change that impression. And it has a picture of you now! Has that worked? Have the submissions changed? Masters: We seem to be getting more submissions. In addition to changing the callout on the web, our marketing department did a specific callout for me — they emailed female subscribers who they knew were interested in the kinds of issues we cover on the opinion pages, and said, we’d really like you to write for us. I got probably a hundred emails in response, personally, saying thank you so much for this. And some of them have turned into submissions. When I started, you never got anything about how people live. It was very much [she puts on a deep voice] “I want to talk to you about Middle East policy.” Well, we still get a lot of “I want to talk to you about Middle East policy,” but there are definitely people who are, like, “I want to tell you about my life as a trader” — actually, that was one raging success that came from the callout box. This woman said she wanted to write about why, if you’re a woman, despite all the stereotypes about bro culture, you should be a commodities trader. She wrote a fabulous piece that did incredibly well and I think there’s no way on earth that (a) she would have submitted or (b) it would have run, before we started this stuff. It got more than double the usual number of pageviews for an opinion piece. There was a controversy in February about removing the statue of Cecil Rhodes from Oxford. A woman wrote in saying she was a former Rhodes Scholar, and the piece was about how the Rhodes was very worthy and important and needs to be diverse. But then at the bottom of her pitch — not actually in the piece — she talked about how weird her experience was applying for the Rhodes in the ’70s, all the horrible, sexist things they did to her. We thought if we got her to write about that — as opposed to the worthy policy stuff — people would read it. We worked with her and helped her craft an op-ed that was quite personal and did brilliantly. That’s another one that came straight out of the callout box. Also, because I used to be a companies editor, I know a lot of corporate reporters around the world. I put the word out that if they got something that they thought maybe wasn’t a traditional FT op-ed but was interesting, they should connect me directly with the person. That way, I got in touch with a woman in California who runs a small investment fund and got totally dissed by Facebook at their annual general meeting. We worked with her, and again, it was one of our huge successes. That is not a piece that we would have run in a traditional op-ed slot, because we had to offer the explanation of what was going on and say Facebook had been given a chance to comment. It doesn’t fit so well in a traditional paper format. But online, you can do that. Natasha [Lamb]’s piece got like triple the normal amount of pageviews. It was really fun. The PR guy we quoted who called her not nice ended up quitting within a couple days. Owen: What are the total cliché pitches you get? What are you sick of seeing? Masters: We get too many things on the same topics. Seventy-five Brexit op-eds. Eighty-five “Trump is crazy, having a trade war is bad.” People state things anybody could say. You don’t have to be a great and important person to write an op-ed, but you have to have a reason why you’re writing it. And people often do have a reason — they just fail to tell the reader about it. People also tend to trade in platitudes and big generic statements. I want concrete examples, I want to help people be concrete and compelling. We’re making the effort to tell people about experiences they themselves don’t have. Traditional op-eds tend to be policy arguments; this is more about walking in other people’s shoes, even if it’s also arguing for some sort of change. Owen: What do you want to do with the section going forward? Masters: One of the things I think that I see our op-ed page doing — and I think this is different from some of our peer publications — is I really see us as a marketplace of ideas, where you can encounter what the Chinese intelligentsia thinks of America, for instance. You can say it’s propaganda, but it’s also really important that we hear in their own words what they think of us. One of the things I would like more of is people who are less naturally FT readers. We get a lot of European policymakers, centrist Americans. We don’t get a lot of right-wing Americans; I would like more of that. I would like much more developing world stuff. We have a pretty good relationship with various sources of Chinese commentary, but we don’t have very much Indian commentary except that the head of the Central Bank is lovely and writes for us; I would like more Latin America, more Africa, and I really would like more people where you’re walking in their shoes. We’ve had a guy who’s in an Australian refugee camp. We had an auditor talk about how much everybody hates her, because auditing is very much under fire right now. I think people are much more willing to listen to an argument and consider perspectives other than their own if they can envision that they’re talking to real people, not just policy points. We will always have important policy op-eds, becuse that is one of the things we like, but it’s a bit of changing the mix. I think that’s partly how we get more diversity — and it’s diversity of perspective, as well as diversity of gender and race and national origin. It’s not diversity just for diversity’s sake. It’s diversity so that people can understand each other better. I want people arguing with each other on my pages, but I want them doing it nicely. We also instituted this thing called a head-to-head where we pick an issue — like should audit firms be broken up, or should Dodd–Frank be weakened. We commission two people, generally both external to the FT so we’re not putting our finger on the scale, and get them each to write a piece of exactly the same length arguing one way or the other, and then we invite the readers to participate: You’ve read both, what’s your view? And then a week later, we do a “reader’s respond” as well. That’s been great, those have been really popular. Owen: You mentioned you were interested in getting more American right-wing voices specifically — I was wondering about the reasons for that. Masters: Traditionally, the FT has had lots of ins with traditional Republicans and Democrats. We are, like everyone else, struggling to cover the changing nature of politics in the U.S. Our readership and submitters tend to be in the coastal cities, or Chicago. We don’t get that much from places where the Tea Party is very strong, or where some of Trump’s biggest support comes from. I would like to hear from people like that more. I want a full debate. Owen, Laura Hazard. "Here’s what the Financial Times is doing to get bossy man voice out of (okay, less prominent in) its opinion section." Nieman Journalism Lab. Nieman Foundation for Journalism at Harvard, 20 Sep. 2018. Web. 18 Apr. 2019. Owen, Laura Hazard. "Here’s what the Financial Times is doing to get bossy man voice out of (okay, less prominent in) its opinion section." Nieman Journalism Lab. Last modified September 20, 2018. Accessed April 18, 2019. https://www.niemanlab.org/2018/09/heres-what-the-financial-times-is-doing-to-get-bossy-man-voice-out-of-okay-less-prominent-in-its-opinion-section/.